The product code for this David Hunt chandelier is FLE0512. It features the quintessential central baluster, with alternating wide and narrow parts, and the long, scooping arms that define a Flemish chandelier. 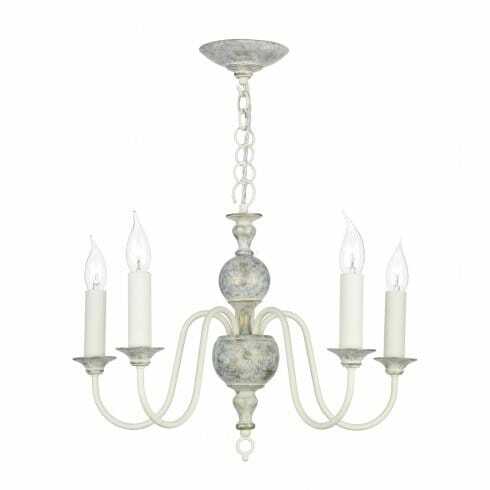 The arms are topped with traditional sconces and candle holders for that classic look, while the distressed powder grey finish with rubbed gold highlights adds antiquated charm.